Rowan College at Burlington County has announced plans to transform the Mount Laurel campus into the ‘ultimate modern campus experience’ for students, faculty and staff. 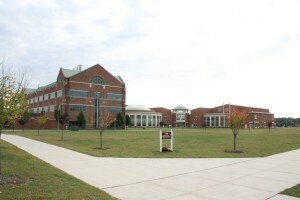 Located near the intersection of routes 295 and 38, the Mount Laurel campus opened in 1995 and within a decade became the college’s most popular destination for students. Last year, more students attended class in Mount Laurel than all other locations combined. The Pemberton campus, the college’s original home, now ranks third behind Mount Laurel and online. “Uniting the college in Mount Laurel will save millions of dollars in operating costs that will be reinvested in programs and improved facilities for students, faculty and staff,” Drayton explained. The announcement came after a comprehensive facility study that proved the college did not have the demand to fill its current facilities and that Mount Laurel could handle current and future need largely by converting underutilized space, adding on to existing facilities and eventually building a student center that will include a student success center, the library, dining facility and serve as the focal point of the campus. The timeframe to complete the transition and modernization of the Mount Laurel campus is still being determined. There were no changes announced for the college’s other facilities in Mount Holly, Willingboro and the Joint Base McGuire-Dix-Lakehurst. During that time, a reuse study of the Pemberton campus will be led by Burlington County’s Economic Development and Regional Planning Director Mark Remsa. President Drayton invited Pemberton Township Mayor David Patriarca to serve on the reuse committee. Transitioning the main campus to Mount Laurel and phasing out the campus in Pemberton will improve the ability of faculty and students to collaborate and ensure student success. Faculty members have been looking for a solution to the challenge of having two main campuses. The campus modernization announcement was accompanied by a new management structure that places a greater priority on student success. A new department, Enrollment Management and Student Success will be led by Michael Cioce, currently serving as executive director of enrollment management, who will officially rise to vice president of the new department in August.